In space no one can hear you scream. The terrifying sci-fi adventure, Alien, celebrates 40 years with an all-new 4K Ultra HD master, available April 23. 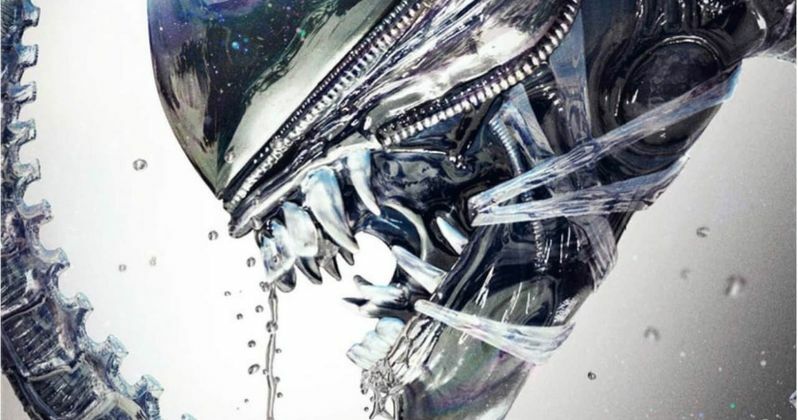 A limited edition 4K UHD steelbook of Alien 40th Anniversary Edition will also be available exclusively at Best Buy. In the film that birthed the wildly successful Alien franchise, the crew of the deep space tug Nostromo awaken from stasis during a voyage home to Earth when their ship's computer detects what is believed to be an alien distress signal coming from the desolate nearby moon, LV-426. While investigating, one of the crew, Kane (John Hurt), is attacked by an alien creature that latches to his face and he is rushed back to the Nostromo to receive medical treatment. Ripley (Sigourney Weaver), the ship's warrant officer, advises against Kane's return due to quarantine regulations - but her orders are ignored by Ash (Ian Holm), bringing the Nostromo under threat from a mysterious, extraterrestrial apex predator with violent and lethal survival instincts. The 2003 Director's Cut is actually shorter than the theatrical cut, removing nearly one minute from the runtime. It brings back several alternate scenes not seen in the original 1979 version as shown in theaters and originally released for the home video market. One of the most notorious new scenes is an 'Eggmorphing'. The entire cut was created and overseen by Directly Ridley Scott. It was subsequently released as part of the Alien Quadrilogy DVD box set. Risdlye Scott said this about creating the Director's cut. "Upon viewing the proposed expanded version of the film, I felt that the cut was simply too long and the pacing completely thrown off. After all, I cut those scenes out for a reason back in 1979. However, in the interest of giving the fans a new experience with Alien, I figured there had to be an appropriate middle ground. I chose to go in and recut that proposed long version into a more streamlined and polished alternate version of the film. For marketing purposes, this version is being called "The Director's Cut"." You can check out cover art for this upcoming 40th Anniversary release below, which comes direct from 20th Century Fox Home Video.